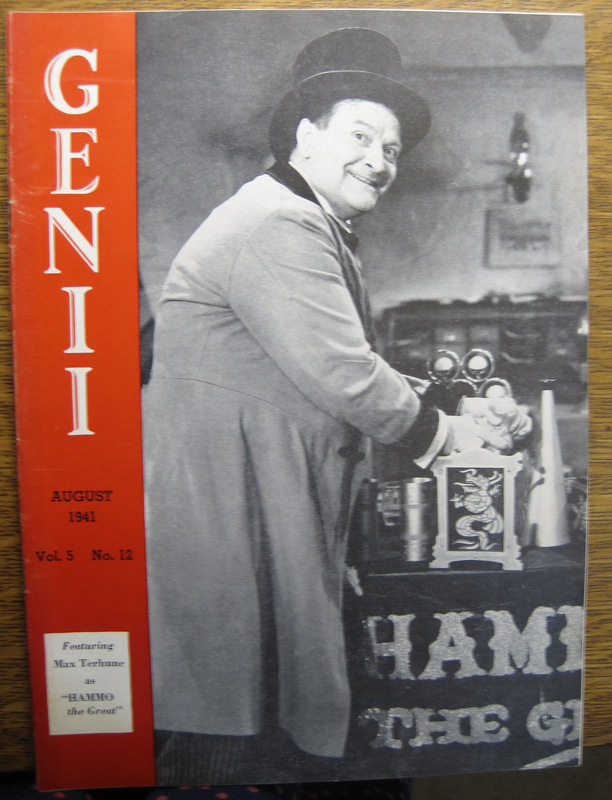 This week’s wild-eyed magician, “Hammo the Great”, is featured on the cover of the August 1941 issue of Genii. 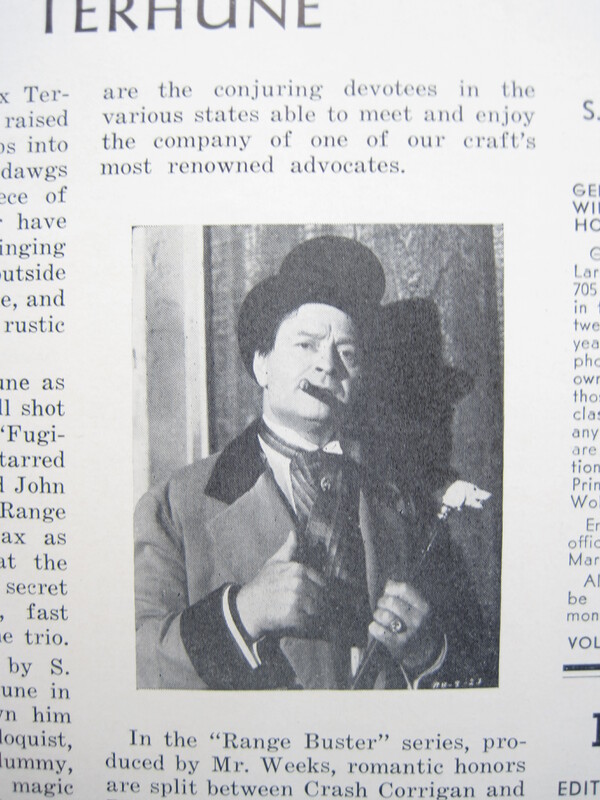 If this magician’s mug looks familiar, it’s because Max Terhune, the man behind Hammo, wore several other (literal) hats: he played Lullaby Joslin (great name!) in the B-movie Western series The Three Mesquiteers, he was a well-known stage ventriloquist (and his dummy, Elmer, roamed the range alongside Terhune in the Mesquiteers), and, in his earlier days, he traveled widely as a competitive whistler and animal imitator. The editor of Genii colorfully describes Terhune’s “sublime prestidigitatorial skill”, as well as his “careless dress [and] high-heeled boots”. Said editor also notes that it’s “a fact” that Max Terhune has no enemies. Max Terhune: what a guy!